The following terms and conditions apply to all orders which are processed by CGH Direct either online or by any other form of communication and form part of the contract between us. Please take time to read these terms and conditions it is important for both of us that you understand our contractual relationship relating to your use of the website. Please make sure that you have read these terms and conditions before completing your transaction with us. We will not allow you to purchase any products from the website unless you have confirmed that you have read these terms. If there are any changes to the details supplied to us by you, it is your responsibility to inform CGH Direct via the Contact Us form, or email direct@cghservices.co.uk to our Customer Services as soon as possible. Your order will be acknowledged via email, if you enter a correct email address. It is your responsibility to ensure you are able to receive e-mails from CGH Direct. We recommend you add CGH Direct to your ‘safe sender’ list, and check that your online security software does not block e-mails from us. In the unlikely event you do have any difficulty receiving email from us please advise your Internet Service Provider who should be able to assist you further. Acceptance of the order will take place on clearance of payment. All prices include VAT. In the event a product is listed at an incorrect price due to a typographical error or error in pricing information received from our suppliers we will not process your order and will instead alert you immediately to the actual price of the goods. You will then have the option to proceed at this updated price. We will only process any such order with your explicit authority. Our aim is to deliver all goods ordered within 3-4 working days. We can only offer free deliver to the UK Mainland (UK Mainland does not include Scottish Highlands, Scottish Islands, Northern Ireland, Channel Islands or Isle of Man). If the product that you have selected is not available at the time of placing your order, and it is necessary for us to order directly from the supplier, you will be contacted within 48 hrs. We will keep you updated with the progress of your order if the item is on back order. Prices quoted are subject to stock availability. It is your responsibility to check your goods upon delivery for shortages or damage and to make a note of such on the carriers consignment note when you sign for the goods. 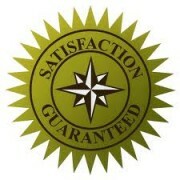 Your purchase will be delivered by our nominated courier and we make every effort to ensure your purchase arrives within 7 working days, but we shall not be liable for any losses, costs, damages, charges, or expenses you might incur as a result of a delay in receiving your goods within this time. By providing your delivery address details, contact telephone number and email address and by agreeing these terms and conditions. You agree for the above details to be passed on to our nominated courier and their sub-contractors or agents to aid in the delivery of your order. Product images, descriptions and specifications are shown for guidance only; for example creeper colours may vary, TV mounts shown may differ slightly from those advertised, HDMI cable designs may vary during manufactures' production run etc. Some products may require assembly; for example motorbike stands. TV wall mounts may need assembly. The company is continually adding new and improved products. It reserves the right to alter the specification and price without any prior notice. All descriptions and specifications in literature, brochures, catalogues and price lists are approximate and intended for illustration only. Any advice given by the company is for general guidance and the company will not accept any liability for loss, damage, injury, or expense arising from such advice. The company does not claim that products are suitable for a particular use and the responsibility rests with the customer to sample and test the products as to their suitability for an application. The company will not be liable for any loss, damage, injury or expense, consequential or otherwise, incurred arising from the use of a product or the failure of a product in an unsuitable application. Payment will be taken at the time the order is placed. A contract between us is not formed until we have processed the transaction and started the dispatch process. We accept payment by most major credit and debit cards. We also accept payment by bank transfer and by PayPal. Orders will not be processed until cleared payments are received. Money off promotional discount codes for use on our website cannot be used in conjunction with any other offer. All website promotions are valid for the advert duration only. The promotions are valid for product purchase only and service costs do not count towards the loyalty scheme. **Note: All products are checked thoroughly before dispatch. We will be unable to accept the return of any item where there is evidence that the manufacturers instructions have not been followed. All goods are guaranteed as free from defects in material or faulty workmanship for a period of twelve months from the date of purchase. CGH Direct will at its discretion repair or replace the goods free of charge or refund or credit the invoiced cost of the goods. CGH Direct will not accept liability for any form of consequential loss, damage, injury or expense incurred due to the failure of any product supplied to perform as specified. The company will not be liable for any failure caused by wear, neglect, handling, miss-use, inappropriate storage, testing, accidental damage or lightning induced transient voltages. Whether we arrange collection or you return the goods at your own expense it is the customer’s responsibility to ensure that the goods are adequately packaged for collection, we will accept no responsibility for damage that occurs due to inadequate packaging. IMPORTANT: If we incur charges for carriage for an item/s that is/are not found to be faulty then these costs could be chargeable. Or through the Contact Us form. All complaints will be responded to within 24hrs (during the working week). Should you wish to cancel your order, any goods supplied must be returned within 7 days of your notice to cancel. Please be aware that we will not refund your return postage costs, as there is no error on our part. If we arrange the return postage for you then we will deduct the cost from your refund. Providing the goods are returned in an as new condition with all labels intact and all accessories including any free gifts you will receive a full refund, less any delivery and/or collection charges, within 30 days of giving us your notice to cancel. We are unable to accept back goods for a credit if they are unwanted gifts or non-faulty items 7 days after the purchase date. Unsealed blank video tapes, blank DVD discs and blank mini discs. The following tariff applies to products returned missing the original factory packed accessories. The prices are for guidance, the actual price may vary. Damaged during delivery, defective, or not what you ordered. You can return your purchase to us within 14 days of the date you received the item if it has been damaged during delivery, is defective, or isn’t the item you ordered. We will issue a full refund (including return postage costs). Please contact us via the above means prior to returning any item. Unless otherwise agreed, packaging materials and carriage expenses will be charged at the rates prevailing at the time of dispatch. Non delivery of goods must be notified to CGH Direct either via email to direct@cghservices.co.uk or via the Contact us form within seven working days of the invoice date. Goods damaged in transit must be notified to CGH Direct within three days of receipt of the goods. All packaging must be retained for examination by our carriers. CGH Direct shall not be liable for any failure to fulfil the terms of any contract in the event of war, invasion, act of an enemy, riot, civil commotion, fire, flood, explosion, strike, lockout, criminal damage, act of God or failure of the company’s suppliers to make delivery or any other circumstances that are beyond the company’s reasonable control. The contract shall be governed by English Law and the customer agrees to submit to the sole jurisdiction of the English Courts in any dispute arising from the contract.